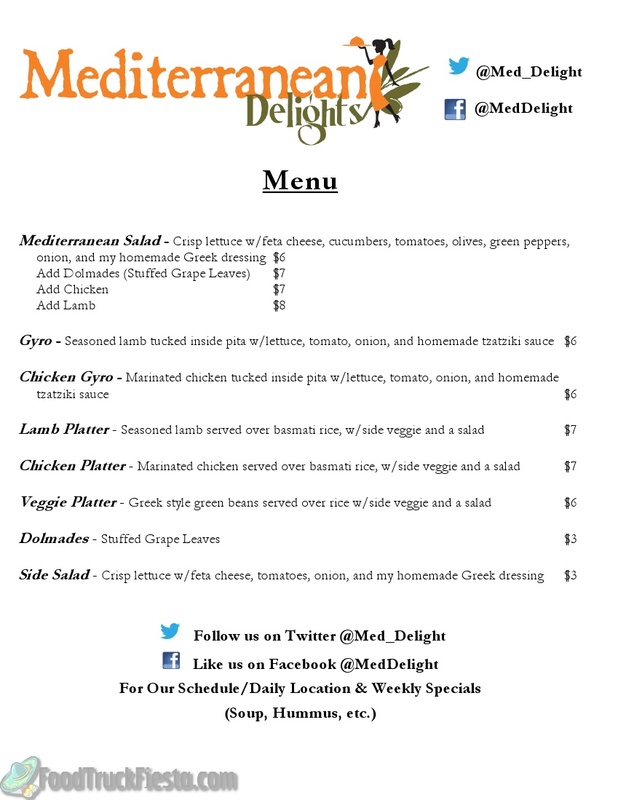 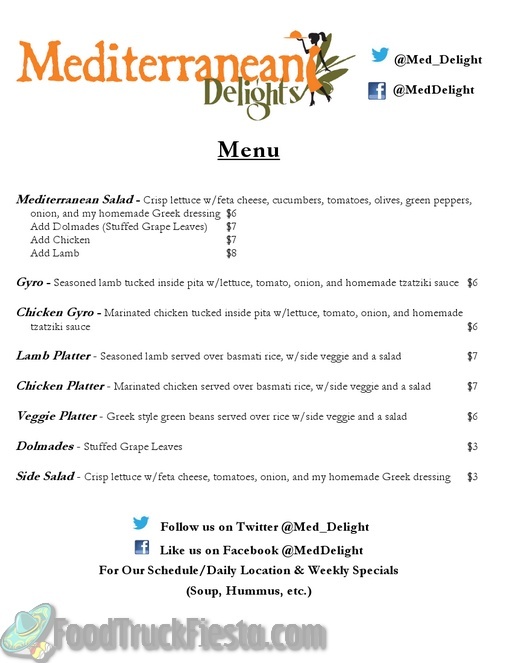 Mediterranean Delights serves mediterranean cuisine from a stationary food cart located in Arlington, VA. 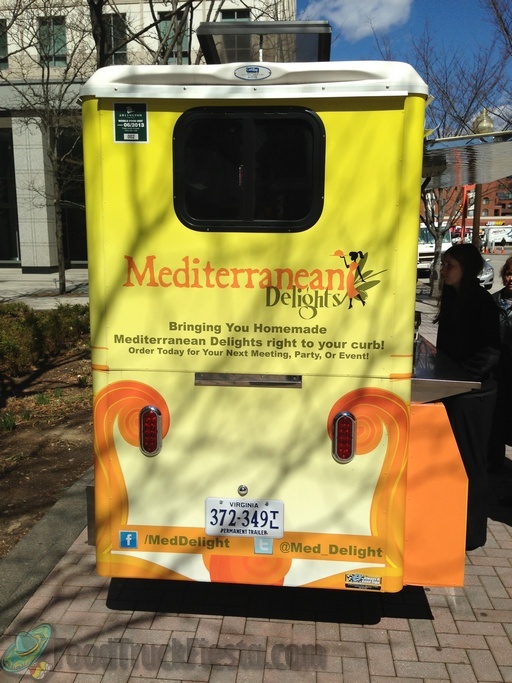 The food cart launched in June 2012 and is permitted in Arlington, VA. 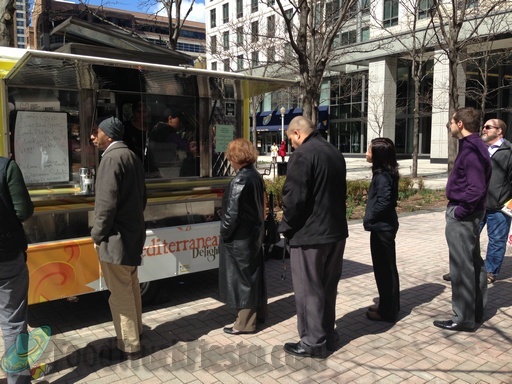 Right now, N. Stuart St. in Ballston is the primary location but will start trying out different locations in the Arlington area.